NG Investeeringud OÜ is the Estonian private capital based investment and holding company. 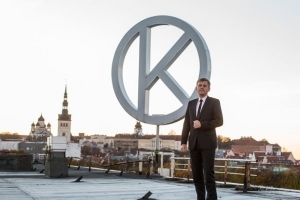 TALLINN, 11.04.2019, www.nasdaqbaltic.com - In the first quarter of 2019, the unaudited consolidated sales revenue of the Tallinna Kaubamaja Group was 163.7 million euros. TALLINN, 21.03.2019, www.nasdaqbaltic.com - With 99.96% votes in favour, shareholders approved the profit distribution proposal to pay dividends 0.71 euros per share. TALLINN, 25.02.2019, www.nasdaqbaltic.com - The consolidated audited revenue of Tallinna Kaubamaja Grupp AS for the year of 2018 was 681.2 million euros. The revenue increased by 4.6 per cent. The revenue for the year of 2017 was 651.3 million euros.